The introductory article Finding Your Boat (part 1) details John's desire to live aboard a boat, and what he has accomplished thus far. Finding and purchasing your boat home takes time and there is a learning curve. Looking online is a good way to get an education without spending your perfectly good money. Don't be in a hurry. That ideal boat is not without flaws. One just like it is probably available and for less money. Tuck your wallet away for the moment. I know: Women shop and men buy. At present, shopping is your goal. John is fortunate. He's got some savings and the desire to live aboard. To reiterate, he said: You are living the life I covet. I receive a VA pension of about $1000/month. But my pension isn’t enough to survive here in Southern California… So, I have been living in my van… And actually been able to save some money. John wondered if he could buy a boat, live aboard and do so all on three times the income I have. I started seven years ago and if I can do it, so too can he. No boat is perfect, and the lowest priced boats can be just awful! So we need to observe carefully. Pictures posted online tell a story. Being able to study the photos is helpful in determining condition. The listing descriptions provide an education too. Look and learn all you can. A friend was admiring a boat. She was reasonably priced and he was and is enthusiastic. Then I looked over his choice. There were a lot of lovely pictures in the listing. Please examine the following two pictures from the sale page. 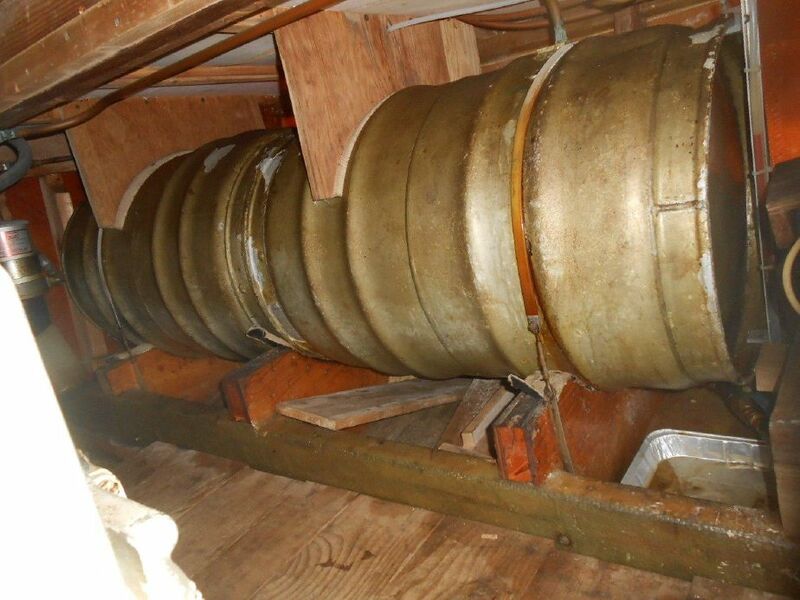 I spotted an aluminum pan (such as you'd cook a turkey in) under one of the fuel tanks. It was stained. I cannot imagine why a pan would be there except to catch a leak/drip from the tank. Is that a deal killer? Probably not. But it is something you're going to need to be aware of. Any surveyor should be able to see things like that. And those batteries in the picture on the right need to be secured. Still, this is a dock queen and for that usage the batts can be a lower priority than that leaky fuel tank. Please note: I'm not an expert. I am observant. Your next step in this education process is to examine critically the photographs posted online of boats you like. Is that flaw something minor or cosmetic in nature? Can you fix it yourself or is this an issue requiring the services of a professional? Do you have both the skills and determination to finish the job? Anyone can start a project. Completion is the key to success. Craigslist can be your friend. Check boats for sale. 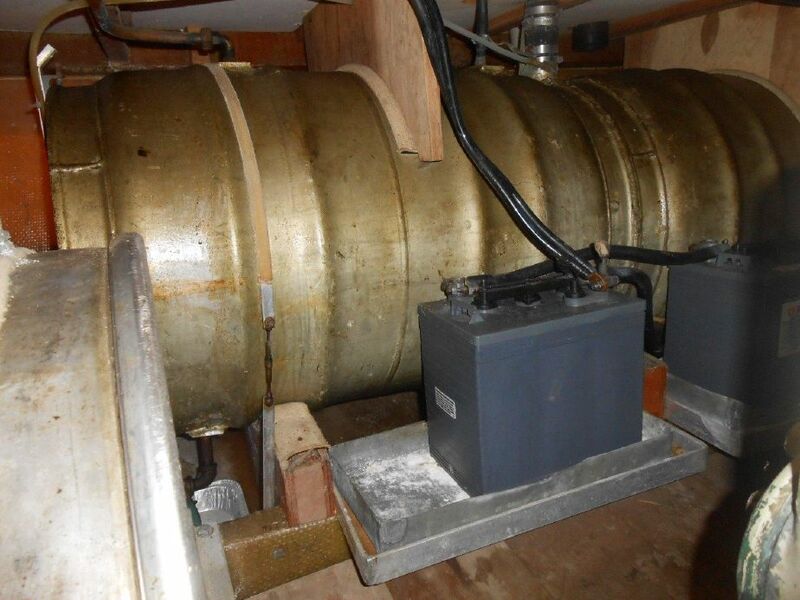 Last week there was a houseboat, 30' long for sale on a trailer for less than $2,000. Is she perfect? No. Is she capable of supporting life tomorrow? Yes, provided you can live short-term in a war zone while you tidy up the interior. And no, this is not a blue water world traveler. Instead she's an inexpensive coastal cruiser. With some investment of time and effort you'll have a comfortable floating home. eBay too has boats for sale. Just look, and look thoroughly and carefully at the pictures provided by the sellers. Learn to spot minor and major problems in the boats you like. 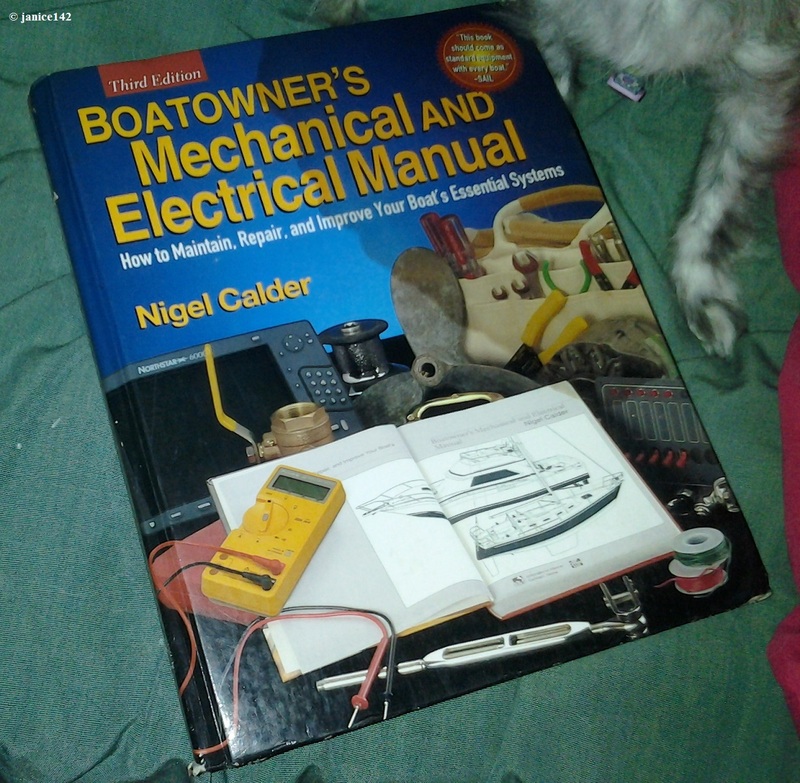 Skipper is next to my copy of Boatowner's by Calder. Refer often to these two books to determine if you can fix-it-yourself. And don't worry that Calder's is too complicated. It won't be... not always. Sooner than you can imagine you'll be flipping through the pages, skimming for answers and following the how-to's laid out in that book. Like anything, we learn with experience. I knew some but had forgotten tons and tons. Anyone capable of learning can make this life a reality. A previous article, Capable of Learning, covers that subject. At this point it is a good idea to get a couple of wish books. You'll want to know what things cost at retail prices. 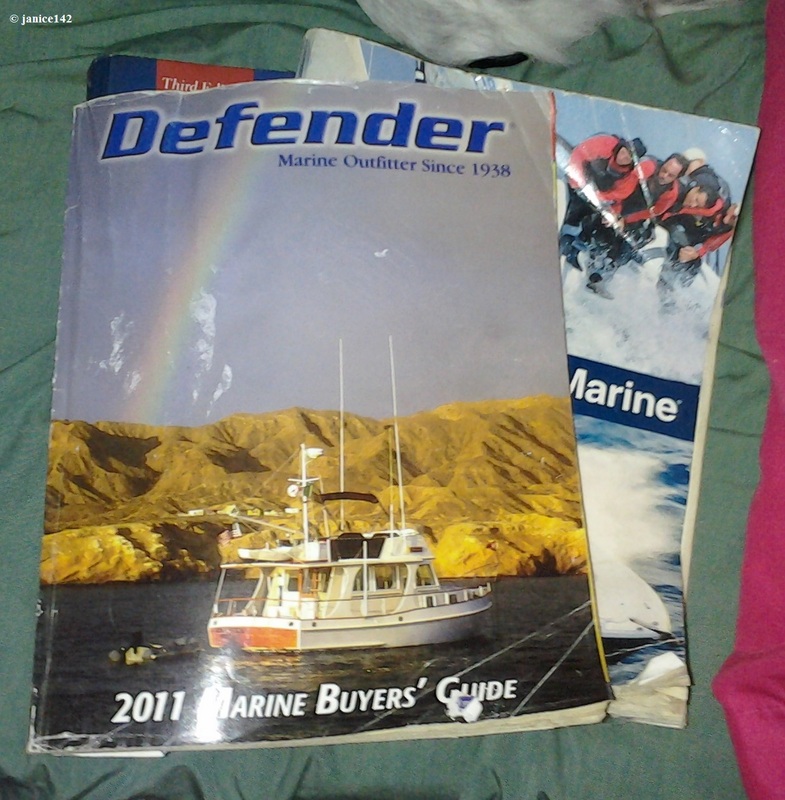 West Marine and Defender have catalogs filled with boat stuff. Both are valuable. West Marine is great because if there's boating in your area, they have a store. Defender is primarily mail order and offers wonderful prices on new gear. I bought my windlass and chain from Defender. The Rocna anchor came from West. Mostly, at least at my economic level, I'm not paying retail. Buying used items at consignment shops and from marine flea markets and swaps is sometimes a real bargain. Or I trade. A while back I swapped some stainless hinges for five sockets and ten LED bulbs. Both Guanahani and I won, and that's how all great trades are. The lights are very low power consumers and the one by my bunk is just perfect for reading. Another one I installed in the galley. It is on 24/7. 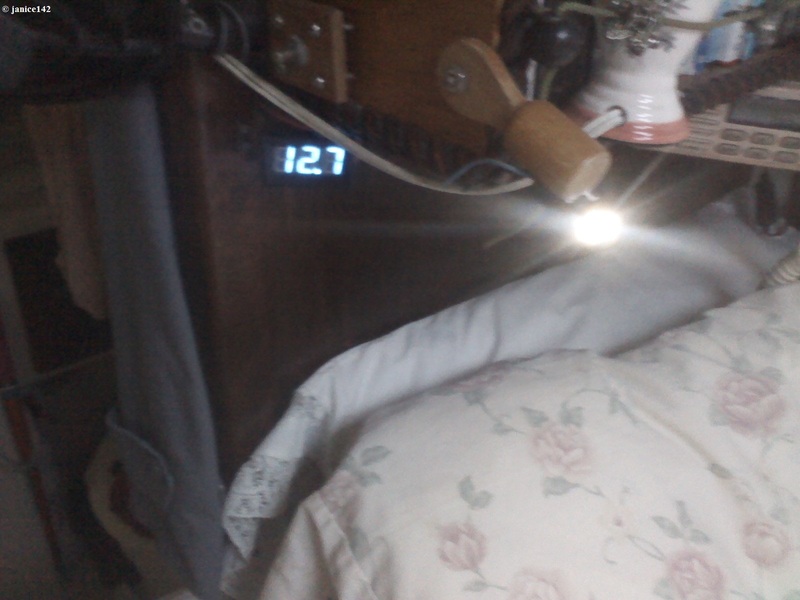 With a power use of just .01 amps I can run the LED for four days before using one amp hour. 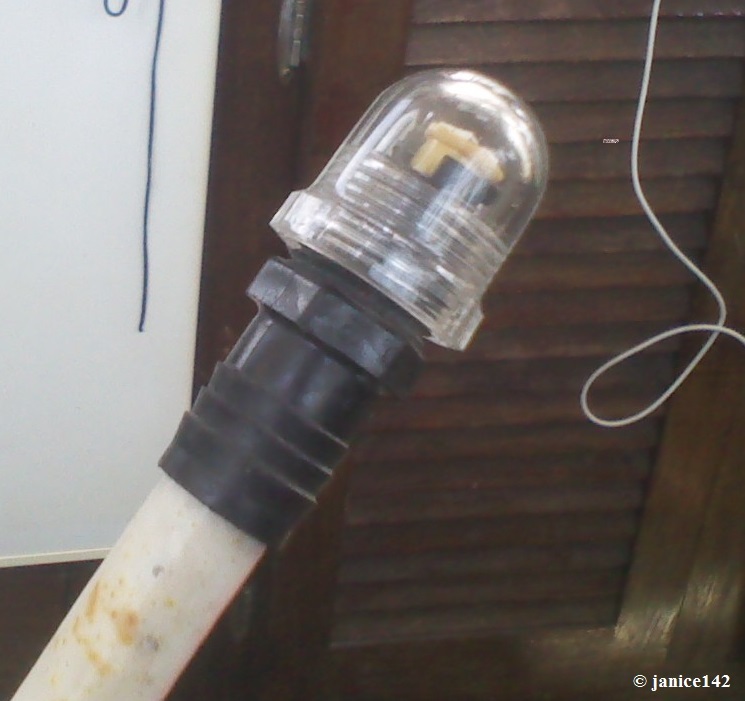 I also made a light for Algae using the same bulb. It's described in the Anchor Light for Dinghy article. In the meantime, horde your pennies. Part 3 is upcoming. You're going to spend some money next in the drive to find the perfect boat at a price you can afford. Perfect is of course a relative term. your desires and the funds available to pay for same. How and where did you discover the boat you bought? And, what made you pull out the wallet and make her yours? A favorite aphorism: Women shop and men buy. Janice Marois.